When Vernon starts checking out new vehicles… I just stand back because I know one is coming! 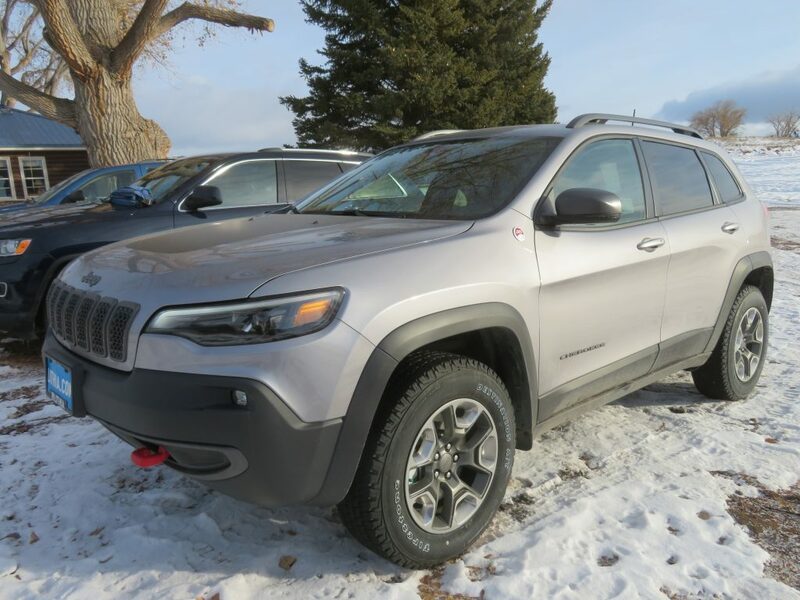 The blue Grand Cherokee is sold… the new silver Cherokee Trailhawk is here! It’s smaller and fancier, and a little aggressive. I keep thinking I need a NX-01 window cling for it for some reason… Don’t worry, my Durango isn’t going anywhere. It gets to stay because I can load a table and coolers and kids and dogs and take them up the mountain! Deer, please stay away… my new little Jeep doesn’t want to meet you! LOL! It must be a farmer/rancher thing. Craig is the same way. Shopping for something means buying that something, sooner rather than later! I like it!! & those bright red tow hooks will be easy to find if you go “4 wheeling” & get’er stuck!